As Orange County's only full-time aikido dojo, the Shin Do Kan dojo was established in 1987 to teach the traditional art of aikido. It continues the legacy first started in Japan during the last century by the founder Ueshiba Morihei. The world class dojo is made up of a cosmopolitan and diverse group of students and is led by chief instructor Pennewaert Sensei, 6th Dan. He insures a high standard of safety at all times and provides a solid foundation in the basic fundamentals of aikido technique and etiquette. Contact the school for more information or visit our web site. Would you like more information on hours, classes and programs available at Shin Do Kan? Please contact the school with your questions. Update the details, Write a Review or Report Error of Shin Do Kan.
View all Dojo in Newport Beach or in Zip code 92663. This Chart shows the Martial Arts Styles offered most in Newport Beach, California area. 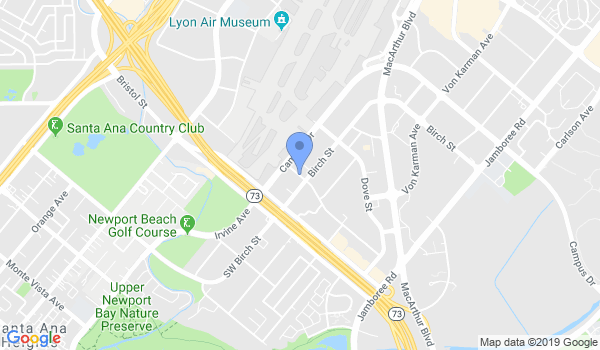 View a list of Dojo in Newport Beach, or enter your address below to find schools closest to you.